I like wine, and a lot of my posts are positively slanted toward my reviews. However, there comes a time when I drink something–often that has had a rave review–that I tend not to like. This is one of those times. And rather than label this as a “What not to drink” post, I admit, it might just be me. On the heels of drinking a very good Côte-Rôtie, I opened a Zaca Mesa 2008 Syrah from Santa Ynez Valley (14.5%). I also recently described my love of the Santa Barbara region, and so I thought, this might be a no brainer pick. It wasn’t. The $21.99 wine drank like a cherry cough syrup that had been soaking in fake oak. The pepper–doused with a heavy hand–finished each drink. Had I been hunting with the flu (eating beef jerky and downing it with said cough syrup) this would have been the same experience as drinking the wine. 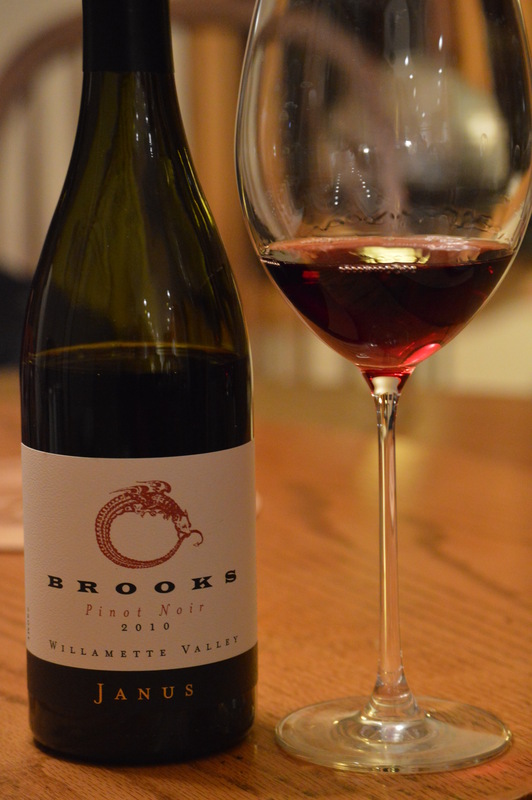 The other dislike of the day, and I admit it pains me more than the Syrah, is the 2010 Brooks’ Riesling from Willamette Valley ($17.99). 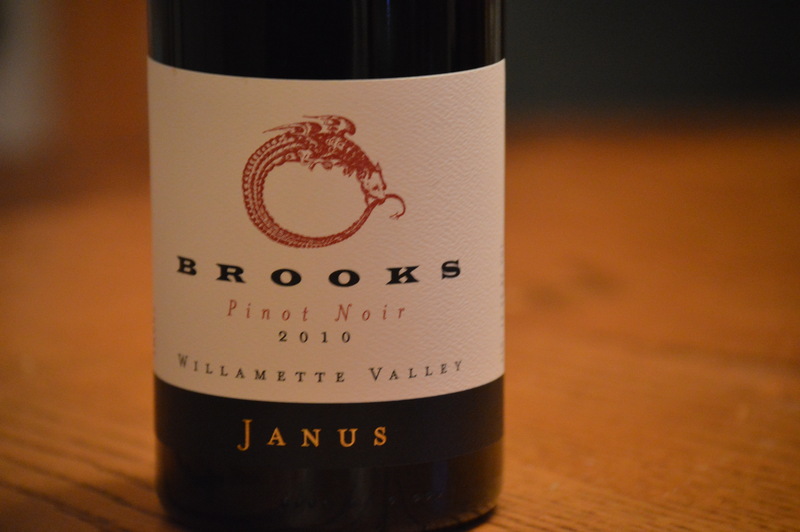 This is the wine that brought me into to the store to buy Brooks wine in the first place, and while I loved, loved, loved the elegant Pinot Noir sampled a few days ago, this one just didn’t do it for me. At 11.5% abv, I was looking for a dry, refined Riesling in a style I love of its German counterparts. But the highly acidic (which is good) prevalently sweet green apple taste of a Jolly Rancher candy bite (which is not good in my opinion–but don’t get me wrong; it is a dry wine), make me rethink Riesling from places other than Germany and Austria (I do have an upstate New York Riesling on my shelf that I’m keeping my eye on, however, so stay tuned). Try if you like, but on my shelf these wines nevermore will go. (But please take the poll below to help me give these wines a second chance). On a Saturday morning during the 2013 Wine Blogger’s Conference in Santa Barbara, California, I vowed to go light on the next round of tastings. I had had a lot of wine to taste (by normal tasting standards, it was only 11:30 am) and I wanted to enjoy lunch and have some easy-going conversations with people I had been ignoring due to the focus on wine. Then I happened upon a Tercero wine table, and I was smitten. Crisp, refreshing and what I think are a new twist on old takes (Syrahs, Roses, White Grenaches, oh my!) I couldn’t get these wines out of my head several months later before I joined the Tercero Wine Club. My memory served me well, especially with regard to The Outlier 2013 Gewurztraminer. 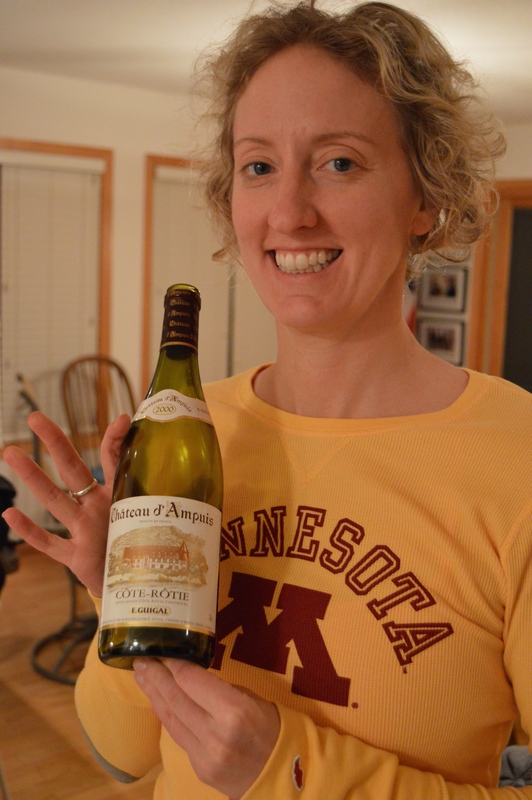 I hadn’t kept this wine in a refrigerator, but it is Minnesota, so it was opened and served slightly chilled. The body and taste is voluptuous but restrained, as if viewing a curvy woman in a tightly woven bodice; revealing and refrained and showing a few mysteries one drink at a time. 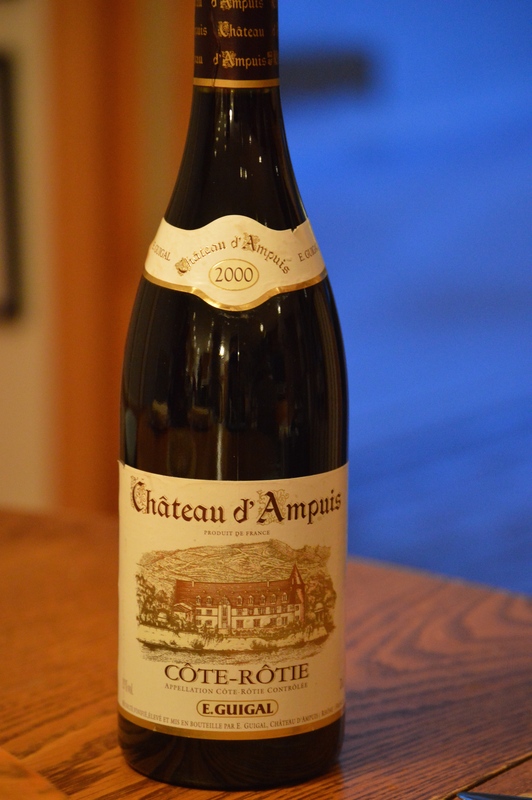 A just-opened bottle, the wine offers aromas of stone fruit–some would say peach or more like lychee to me, as if some herbaceous hints lay beneath the surface. With another turn of the glass and served with panko-and-parmesan breaded walleye, this wine’s lemon and green grape notes and medium plus acid complemented dinner in a beautifully balanced way. 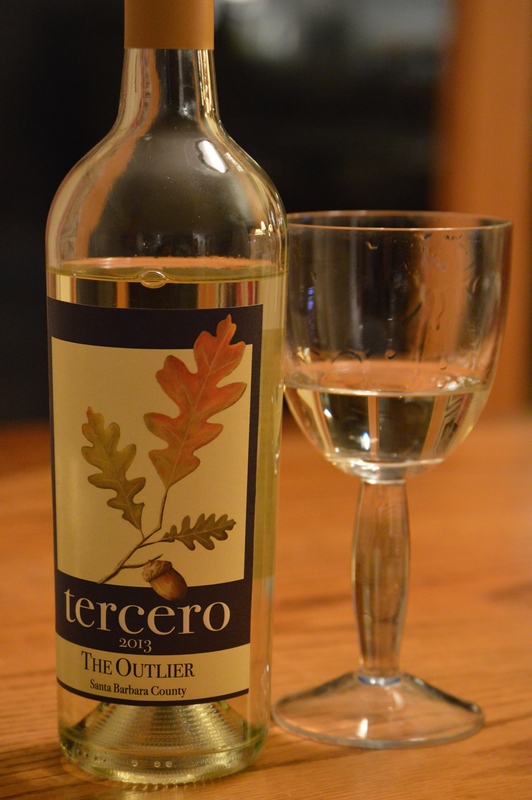 The taste lingered, but not the tartness that usually turns me off of cheaper whites. At $25 a bottle, I would stock up on a few bottles of this wine that goes just as well with winter fare as it will summer delights. If Malcolm Gladwell is correct, and outliers are defined by 10,000 or so hours of practice, I have to believe a lot of practice went into making this wine a perfect dining (and drinking) companion. Some days are red wine tough–what is needed is the wine with legs, guts, strength, but purity of thought and purpose that can punctuate the close of day like a final sigh that matches pace with a lingering sunset, on that has been stalling until you finally have the chance to look outside. It was waiting for you. But before you had the sunset, you had the kind of day where chaos ran the show, the bad guy wins, and you get a parking ticket on the remaining three minutes of regulated parking. I find that wine helps in these situations. Substitute “you” for “me” and that was my first-world-problems sort of day, but I still needed just one drink. Economically, however, it didn’t make sense to open a red, though, since my current stock seemed to run o n the higher end. I reached for the one remaining white in my fridge. 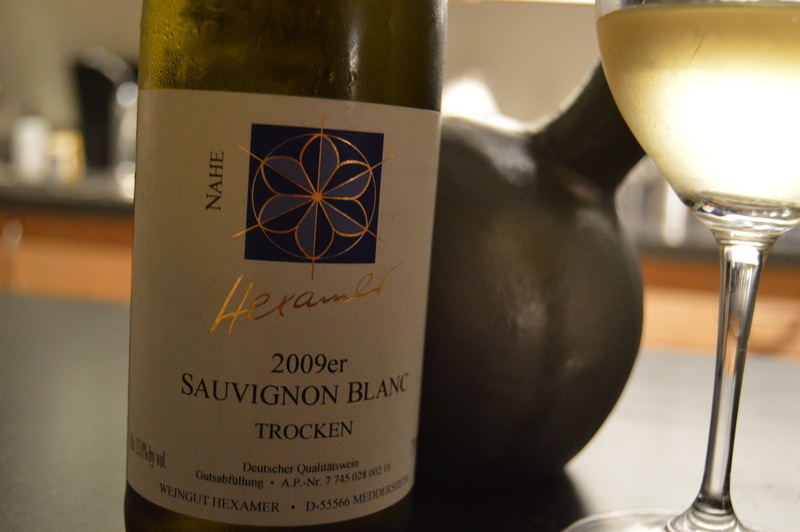 The wine: Weingut Hexamer Sauvignon Blanc, 2009er, Trocken, Nahe. When I purchased this $13 bottle from Surdyks in North Minneapolis, I thought the label was wrong–I’ve never heard of Sauvignon Blanc from Germany. Riesling, yes. This? No. I was really glad I picked it up and opened it on this day. I got the workout in, but definitely would buy more of this wine to forge sunset salutations at the end of the day.